When it comes to propane, selecting a company can be a hassle for new users. While some may think this is a simple task, it deserves a lot of thought and a lot of research. One sure way to have your questions answered is to contact your local Better Business Bureau. The BBB provides tons of information about reputable companies, and propane gas companies are no exception. The BBB will offer credible knowledge about a company’s reputation with consumers, as well as other interesting pieces of information you may need. If you would rather make the decision on your own, feel free to visit Internet directories or search engines. Do your research accordingly. Check for safety records and specific memberships the companies belong to. It’s always a positive to see a company involved with several associations (the National Propane Gas Association, for example), as these memberships give credibility to a company’s resume and level of compliance. Lastly, never settle on your first choices. Shop around with several companies. Treat your future propane gas distributors as if you are shopping for a new car. 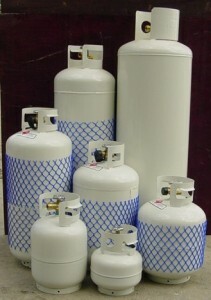 Propane and its many uses will serve just as important as a well-oiled automobile. Good luck in searching. We want you to do your research, but we hope you choose our Dallas TX propane gas company for all of your needs. Feel free to call us today, or contact us online for more information.